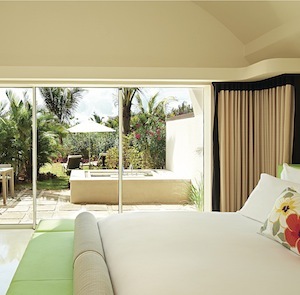 The “So” in the name refers to the Sofitel’s location on Mauritius’s gorgeous southern coast — specifically, a stretch of perfect white-sand beach, the placid crystalline water of a lagoon on one side and lush greenery on the other. 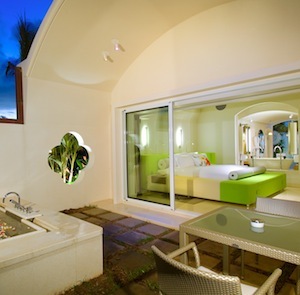 But it must be said, the hotel really is so Mauritius, and not just for the idyllic tropical island setting. It only helps that it’s a French hotel by the Thai architect Lek Bunnag with interiors by the Japanese fashion designer Kenzo Takada. This, after all, is an island with a complicated heritage, where English is the official language, TV and print are in French, and the vernacular is Mauritian Creole. The Sofitel’s effortless style of cosmopolitan fusion is right at home. 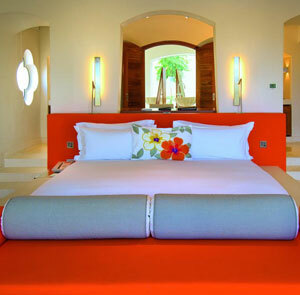 The hotel is home to eight villas and eighty-four suites, all enormous. 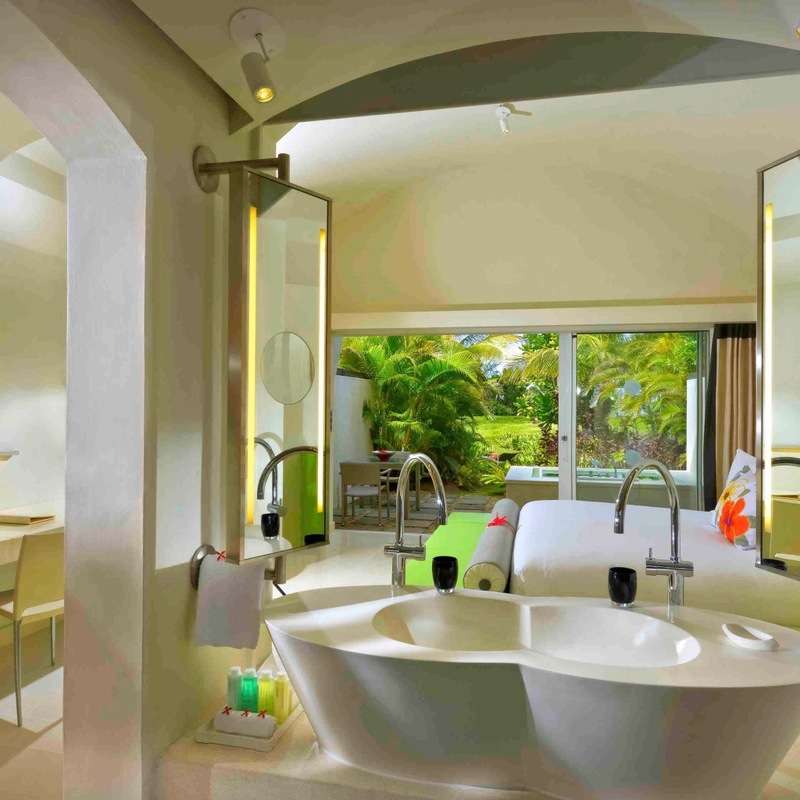 Each sunlight-flooded suite has an open plan and a private garden with an outdoor shower. An upgrade to a Beach Villa — including the family version with a two-bed alcove for kids — adds sea views and a plunge pool in the private garden. In the Villa Beaulieu, that plunge pool turns into a private swimming pool that’s larger than many Manhattan hotel rooms. The two restaurants are everything one would hope at a sophisticated French hotel on a tropical island. Ingredients emphasize excellent local seafood and produce, and the preparations lean toward the French. La Plage, on the beach, features lighter tapas-style dishes, while the cuisine at poolside Flamboyant is classic haute without slipping over into haughty. Relaxation is good for digestion, right? Certainly a pre-prandial afternoon at the lavish spa and a post-prandial nap on a seaside hammock couldn’t hurt. 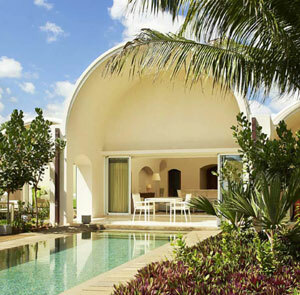 Sofitel So Mauritius is located 30km (45 min) from Sir Seewoosagur Ramgoolam International Airport. Transfers can be arranged for €55, one way. Please contact CustomerService@TabletHotels.com for assistance with airport transfers. This villa features a 290 ft² swimming pool.